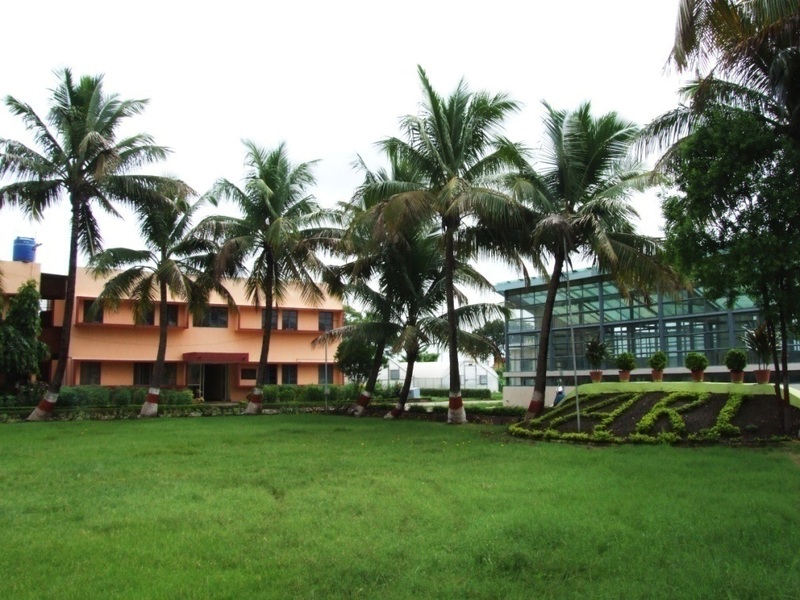 ICAR-Indian Agricultural Research Institute, Regional station, Indore was establishedin October, 1951 as an aftermath of wheat rust epidemic during 1946-47 in Central India. It was established on the historical Institute of Plant Industry and started with just two hectares of land and meagre resources. The station was started under the coordinated wheat Rust Control Scheme operating under the leadership of Dr. B.P. Pal at IARI, New Delhi with the mandate of evolving rust resistant wheat varieties that can be successfully grown under limited inputs. Sh. Chaudhari Amir Singh was the first Head of the station; however, it was Shri Y. M. Upadhyaya who laid the technical foundation of the center. The station was headed by eminent wheat workers like Shri V. S. Mathur (1953-1959), Shri Y.M.Upadhyaya (1951-53, 1959-78, 1979-83), Shri A.K. Singh (1983-94), Dr. H.N. Pandey(1997-2009) and Dr. A. N. Mishra (2009 – 2015). The popular durum wheat in Central India was on the verge of extinction due to low yield and rust disease during 70s and 80s. The station did the pioneer work of durum wheat revival in central India during last two decades. Now it is internationally acclaimed as major research centre for durum wheat and rust diseases. The station has developed 26 improved wheat varieties including 12 of durum and 14 of bread wheat for different cultivation conditions. Several of the recent varieties – HI 1531, HI 1544, HI 8663 (d), HI 8713 (d), HI 8737 (d) have gained wide popularity among the farmers. Due to evolution of high yielding and nutritious durum wheat varieties from this station, the area under durum wheat has increased from 5% to 15 % in Madhya Pradesh during last two decades. Basic studies are being conducted on rust resistance, heat and drought tolerance, and wheat quality traits. A number of diverse sources of resistance to stem and leaf rusts have been identified which are being utilized for crop improvement throughout the country. Protocols developed for evaluating rust resistance in durum and bread wheats have been providing guidelines for rust resistance breeding in the two wheat species. A number of morpho-physiologic traits have been identified for heat and drought tolerance in wheat. Despite availability of very limited farm land (only 6.0 ha) at the station, more than 25,000 quintals of breeder seed of improved IARI-wheat varieties has been produced in participatory (PPP) mode. More than 900 FLDs involving 19 latest IARI-wheat varieties were conducted in over 330 hectares area of 150 villages under 19 districts of Madhya Pradesh and three of Rajasthan. Average yield increase in these demonstrations has been 47%, compared to the old varieties and conventional cultivation practices. We have trained more than 10,000 farmers in wheat production technologyand more than 20 groups from NGOs and Self-help groups in durum wheat processing/entrepreneurship i.e. making Dalia, Atta, Sooji and marketing. The station’s scientific teams have received the ICAR Team Research Award twice, first in 2002 and then in 2012, for “Outstanding Interdisciplinary Team Research in Agriculture and Allied Sciences”. One farmer Mr. Yogendra Kaushik produced 9.2t/ha of our new durum wheat variety HI 8663, for which he was awarded ‘Best Farmer’ by the President of India. Madhya Pradesh has got Krishi Karman award from government of India four times successively for the record wheat yields. The efforts of the station in varietal replacement and improving wheat production and productivity have been duly recognised. Presently, ICAR-IARI, Regional station, Indore is headed by Dr. S.V. Sai Prasad. He is leading a team of six scientists from different disciplines.